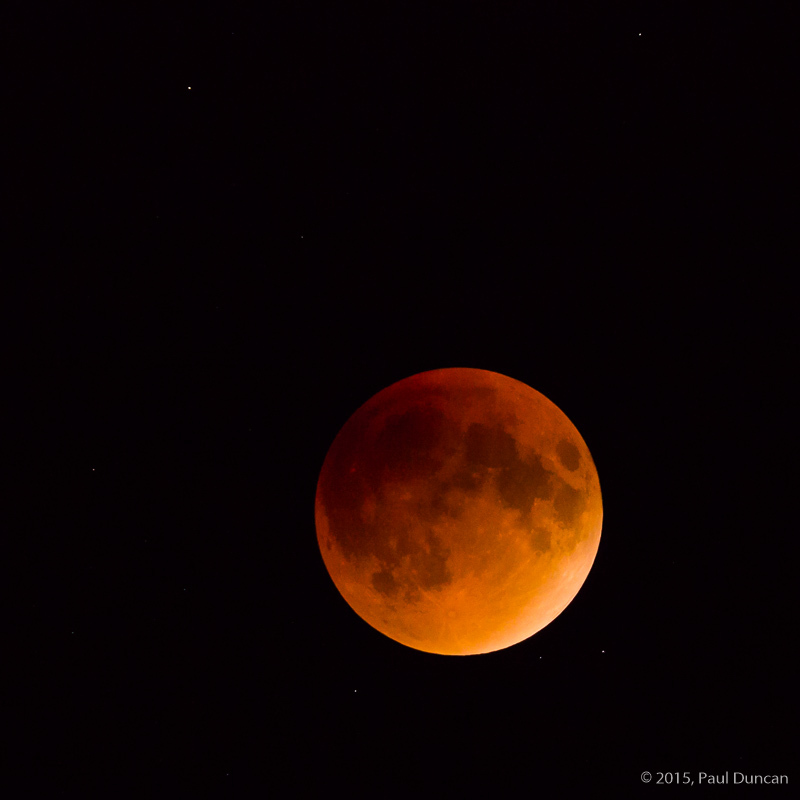 I joined the throngs shooting pictures of the weekend’s supermoon eclipse. 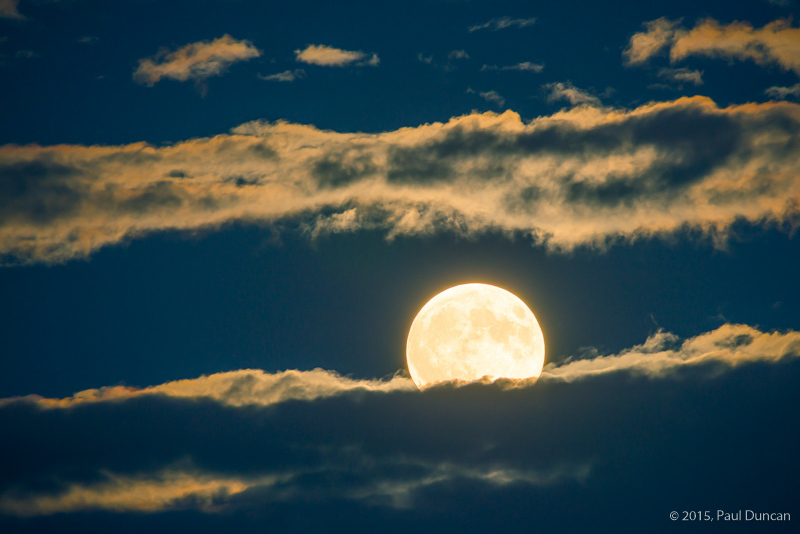 A so-called supermoon describes the full moon’s slightly larger appearance due to being at or near its perigee, the closest distance the moon reaches the earth in its elliptical orbit. The combination of a supermoon and lunar eclipse is unusual: the last one occurred in 1983 and the next will be in 2033. 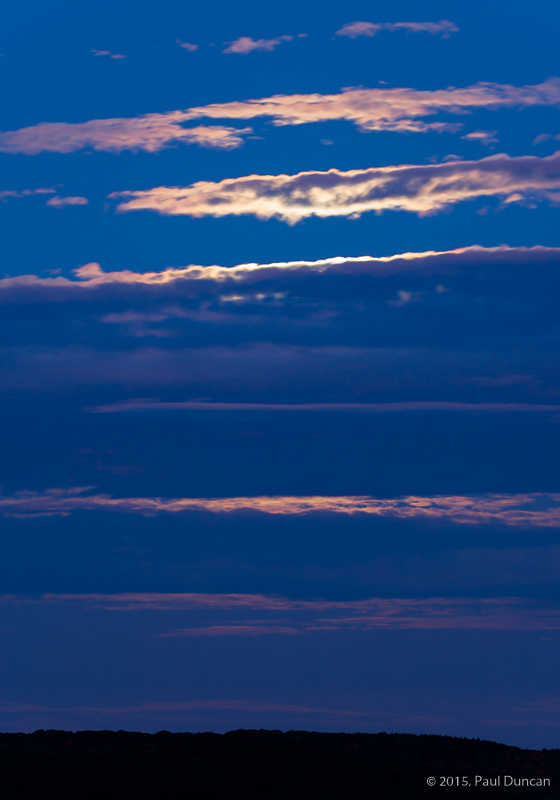 The moonrise didn’t bode well with clouds on the horizon but the moon rose above it and stayed clear of clouds during the eclipse. This is fortunate as I’m not sure I’ll be around in 2033 to catch the next event. A supermoon is a full moon that appears a bit larger than normal because the moon is at or near a perigee, the closest the moon is to the earth in its orbit around it.